It gives you energy, it is a fat source and it doesn't raise your body fat levels, what is it? Since the answer is in the title, I won't waste any time: it's the MCT oil. Let's take a closer look! What is MCT oil exactly? The longer version of this very mysterious three-letter acronym is Medium-Chain Triglycerides, which are more readily digested and absorbed in the body than the good old Long-Chain Triacylglycerols (LCTs), like sunflower oil for example. Basically, they are fatty acids that contain between 6 and 12 carbon atoms. The overall best benefit of MCT is that the liver can convert them into ketones (or in other words: energy) in an instant, without a sweat. They can go directly from the digestive tract to the liver, and since we are using them as fuel, they are not going to be stored as body fat. When you are consuming MCTs while dieting, you don't even have to count them into your daily fat intake when you are monitoring your macros. I think this sentence should tell you a lot about MCTs. These ketones may sound familiar from the popular ketogenic diet, we're talking about one of the main "fuels" of the brain, which can provide energy to ATP (Adenosine Triphosphate), the body's main energy source that is needed for any form of physical exercise, not just for lifting weights. But don't be confused: MCTs aren't just for those who are following a ketogenic diet! The most ideal time to take MCTs is before a workout because you will need a lot of stamina and power. Since we cannot eat fast absorbing carbohydrates (in short: sugars) before a workout due to their ability to spike insulin levels, MCTs really come in handy in this situation, especially when you weren't able to eat a big meal 1 hour prior to training. So whenever you feel you are out of energy, take a sip from your MCT 30 minutes before training, and you're good to go – don't use sugary foods. You can also drink MCTs on rest days, especially when you always catch the flu or get cold in winter every year several times. Why? Because MCTs are vicious virus killers due to their lauric acid (aka C12) content. On top of that, they also have antibacterial properties. MCT is a great discovery, but when consumed excessively, MCT oil can give you diarrhea, and therefore, a lot of problems. What amount is considered "excessive" depends from person to person. So be careful with your very first MCT drink, start with a small amount, and if your stomach is OK, slowly increase the amount you take in until you reach the "recommended" serving size. 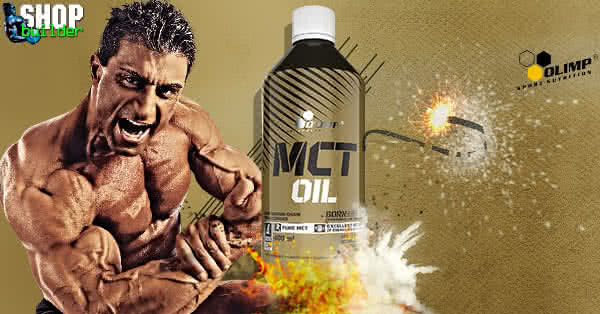 Of course, MCT oil can't and won't do miracles to your body. The efficiency of fat loss is still dependent on how much you train, do cardio, and eat. 2: Greater rise in fat oxidation with medium-chain triglyceride consumption relative to long-chain triglyceride is associated with lower initial body weight and greater loss of subcutaneous adipose tissue.